Whether you’re a keen photographer – or just like taking snaps while on holiday on your phone – buying the best photo printer will make sure that your photos look their very best when you go to make physical copies of them. There’s a huge range of photo printers out there, and in our best photo printers guide, we look at the top offerings that will appeal to various people. 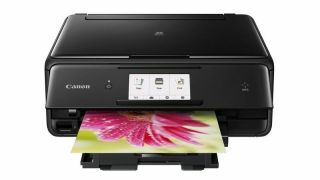 So, if you’re a professional or hobbyist photographer with an expensive DSLR camera, then you’ll want a printer that’s capable of producing professional-grade printouts, and in this list of best photo printers, we list our top picks for doing the job. However, if you take photos on your smartphone, and just want a printer that will do a good job of producing standard-size photos for albums, then you’ll want the best photo printer that’s suited to your needs and budget. One that can print wirelessly is particularly useful if you use your smartphone to take your photos. However, we know that all this choice can make finding the best photo printer for your needs a daunting task. That’s why we’ve put together this list of the best photo printers you can buy. The Canon Pixma Pro-100S is, in our view, the best photo printer you can buy today. Print quality is stunning – which is perhaps the most important aspect of a photo printer, with an 8-ink dye system that produces gallery-quality prints. It can also handle print sizes of A3 and over, and it’s pretty fast as well, able to print a 4 x 6-inch photo in just 34 seconds. 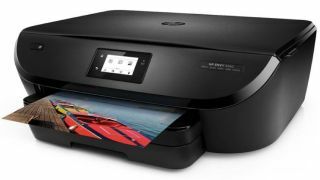 If you take a lot of photos on your smartphone or tablet, then the wireless printing feature will be a great help as well. If you want the very best photo printer for a reasonable price, this is the one we recommend. The easiest printer to use. Ever. 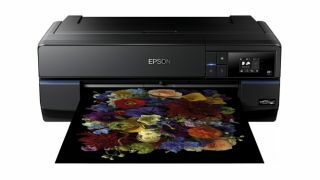 If you need a professional photo printer that makes no compromises when it comes to print quality – and which can handle large print sizes for displays and galleries – then the Epson SureColor SC-P800 is definitely worth considering. Sure, it’s expensive, but it offers a wide range of features, professional color calibration and even tools for fine artists. This is not a photo printer for beginners wanting to print out a few holiday snaps, but if you work with photos for your profession, this is the best photo printer for you. 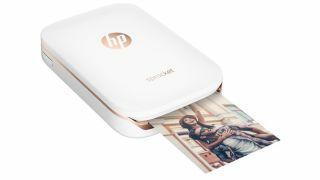 The HP Sprocket Photo Printer is a small, hand-sized, photo printer which isn’t for printing out professional-quality photos, but is a quick, easy and fun way to instantly print out your digital snaps – essentially turning any digital camera into a Polaroid-esque instant printer. It doesn’t use ink, so you don’t have to worry about buying replacement cartridges – instead it uses heat to transform a pre-dyed sheet of paper into your photos. It runs on batteries and has a stylish design as well. 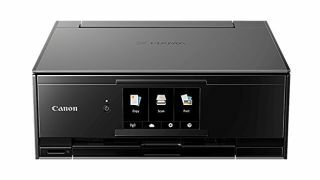 The Canon Pixma TS8250 is great for the travelling professional or someone who needs a small printer for occasional use, printing photos or using the scanner function. It’s a bit pricey to buy – and to run – but the flexibility and quality of the printouts is excellent, making this a worthy choice when looking for the best photo printer for your needs. We’ve come to expect simple setup and operation from Envy printers, and the HP Envy 5540 All-in-One is no exception. 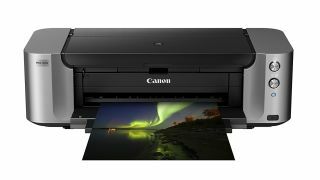 It’s quiet, packs in a lot of features and delivers excellent print quality, especially on photo paper. We particularly like the ability to use smartphones as well as computers, and to connect wirelessly without a router. 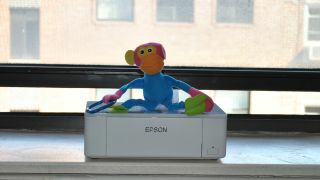 This makes it a versatile photo printer that’s not too flashy, but does the job well.